Mark's Hips Prelim OFA "Good" and "Elbows" normal, Eyes PRA clear by DNA, Mark has the yellow gene. 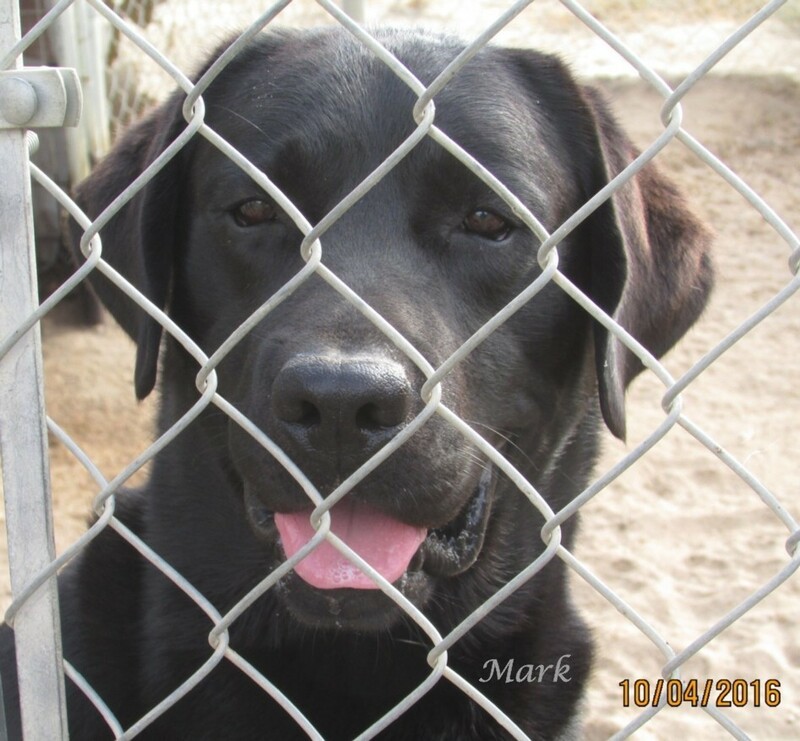 Mark is a handsome black Labrador and a excellent example of a black Labrador show type. He came out of excellent show lines right here in America. Both of his parents are show champions and both have excellent pedigree back ground making Mark pedigree excellent. Mark conformation English style, strong bones, broad blocky head with great expression, beautiful dark brown eyes, level top line, excellent front and rear angles, with great movement and reach, nice thick otter tail, he has a excellent temperament, good energy... he is one happy easy going boy. DNA test cleared as normal. Click on King's picture for his webpage. Both parents hips are normal...Mom's hips normal and OFA "Excellent" elbows "Normal"
Dad is Mark info. below on him. "Servant's Taylor Made Of Wells"
King's comes from excellent champion show lines of English and American show type. His dad "Mark" father is a very impressive black Lab and he is AM Champion and his mother a light yellow a beautiful sweet English type Labrador with that old fashion temperament. 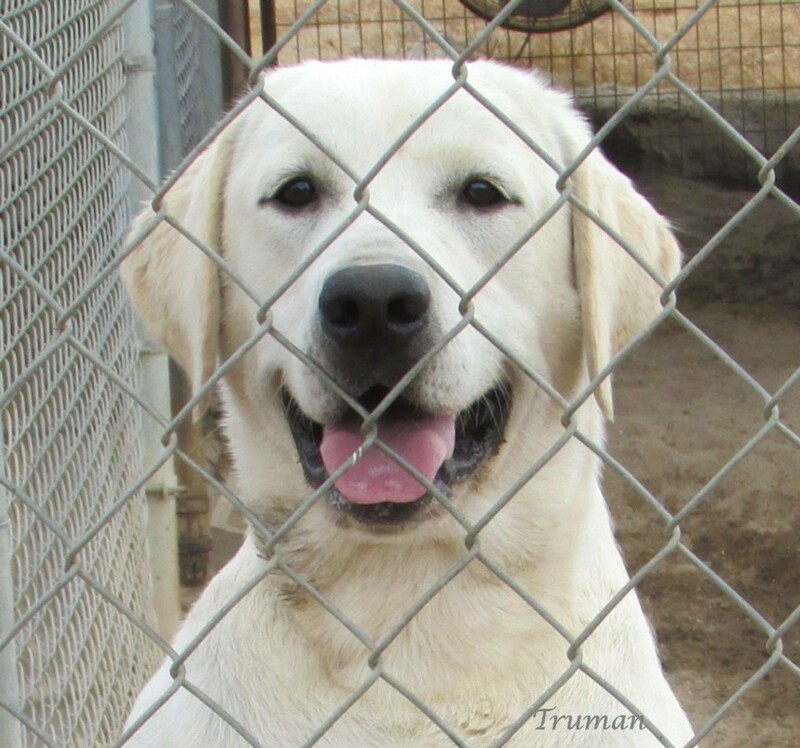 Click on Truman's picture for his webpage. Both parents hips are normal... His Dad's hips OFA "Excellent" elbows "Normal"
Grandfather is Mark info. below on him. Truman one handsome light yellow Labrador Retriever boy and he is from a superior background of the English and American show lines and he is a compliment to his breed. Truman dad is a nice yellow Labrador that from a all American show lines and field trail hunters. All four grandparents are Master hunter title Labradors. 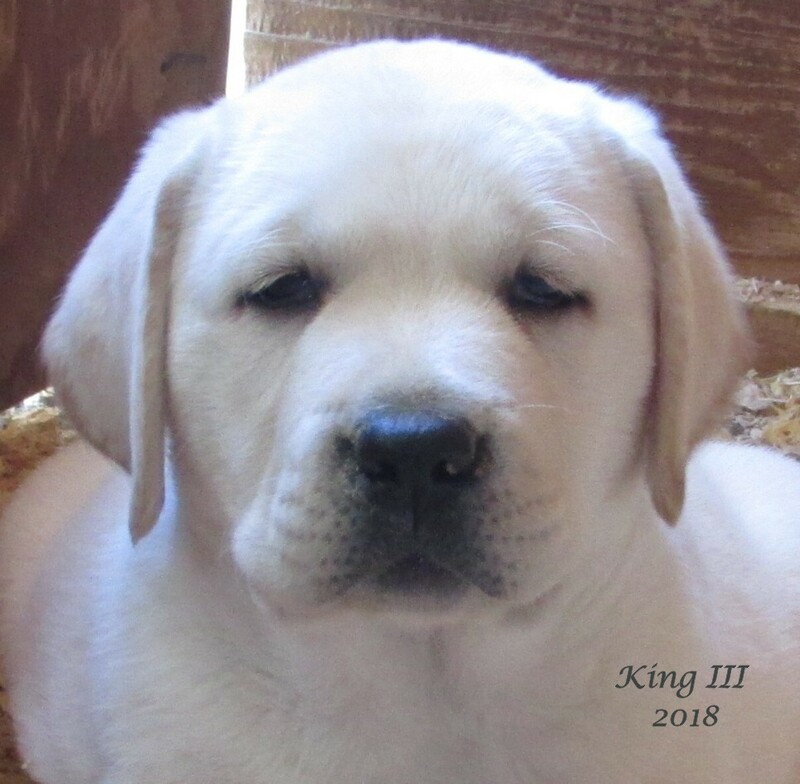 His granddad is a Gold show titled Champion Lab and his name is GCH. CH. Poplar Forest Play It Again Sam MH. Truman has a stocky English style of a conformation with strong bones and broad blocky head with excellent expression, he has excellent pigment with beautiful dark brown eyes, prefect level top line, excellent front and rear angles with a nice deep chest, and with great movement and reach, full dentition,, and he has a beautiful light yellow coat. He is a outgoing boy with great focus and temperament and he is a true buddy type. If you desire to use one of Servant's sire for breeding you need to bring or mail a copies of AKC, OFA (both hips and elbows) and CERF or DNA for PRA certification to Servant's Labradors prior to breeding. If you like to bring your female to the kennel for breeding you also need to have proof of Brucella screening from your vet 48 hours before breeding takes place. You are guarantee three live puppies or you may bring your female back for one repeat breeding (within one year) with no additional stud fee. If pass a year than a service fee will be require at the time of breeding. If your female no longer available for breeding you may select another female in her place. If stud dog no longer available another will be selected. Note: No refund for stud service. Any transportation costs on breeding and re-breeding are to be paid for by the owner of the female Labrador. Be sure to set up a FedEx account for shipping if shipping required before it is time to breed to prevent a delay or miss of breeding. Note: The studs at Servant are not at public stud dogs but are available to only to approved female Labradors and only with their health clearances. Do your health check before your Labrador goes into season so you will be ready and not miss out on a desire litter of beautiful Labrador Retriever puppies.